What is Regrav? The name or term was first coined by Nicola Tesla and indeed the book is a tribute to his deeds and foresight into he future needs of humanity. Nicola Tesla was almost certainly an aspergers sufferer. Aspergers is an autistic condition allowing the sufferer to exhibit great skills and yet cursed by a lack of everyday ‘normality’. Two of the main characters of the Regrav story exhibit such symptoms. It is their skills that ‘save the world.’ Einstein was an Aspergers personality. The word Regrav refers to antigravity. Regrav the book, is a swashbuckling ride across human greed complicated by the use of antigravity as a form of free energy, galactic propulsion and wormhole travel. Regrav depicts a world where an Aboriginal man discovers antigravity and gives the full designs to all the people of Earth. In so doing he creates a type of Utopian world where technology and humanity change rapidly. However Regrav is much deeper on many levels. One could easily say Regrav has an expanding consciousness and yet a dark step into the eternal conflict of humanity as the book explores the lust for greed and power. Heard it before you say? Maybe so but not where the Great Pyramid of Giza is a living identity. Not where original factual science technology is used. And certainly not in a united global community where there is no further need for money. And definitely not where spaceships cross the Galaxy in only a few hours. Regrav is the story of the next wave of Humanity setting fourth out across space just as man first ventured out of Africa some five thousand years ago. Is Regrav fictitious? Absolutely! Regrav takes science and future science and passionately swirls a science fiction into a roller coaster ride. The detailed explanation of gravity (Appendix A) is highly plausible. 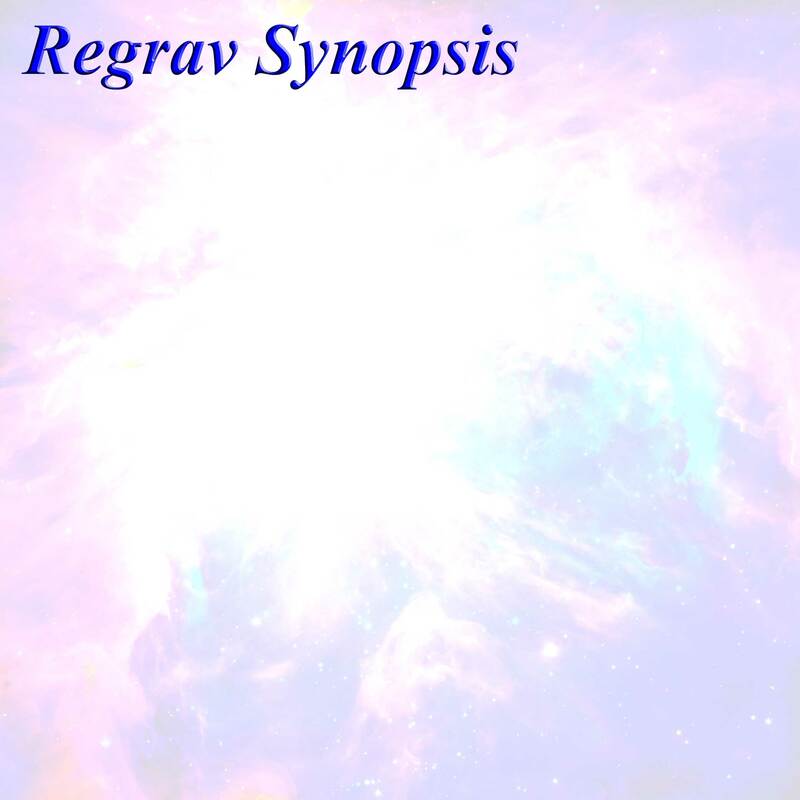 Regrav would make an exciting science fiction series. It cannot be made as a movie as the ride is way too complex. Regrav is a must for the lover of high tech science fiction. Regrav is styled with an Australian perspective. It is science fiction space adventure combining surfing lifestyles and waterman spirit as a live and let live way to live one's life. Regrav harnesses gravity for energy and universal travel and describes a world where free energy and antigravity travel ushers a new humanity. The adventure centers around unknown challenges in this dawn of repulsive gravity powered spaceships and personal travel. The world becomes one almost united race. Regrav is future time where metals and powerful, 'blue diamonds' are biologically grown and where space food is cultured bacteria. 'A McMoon with cheese'. Regrav explores the possible science of gravity and planetary energies as two young Aussie surfers become, at first, unwilling space explorers. Their adventures go beyond the concept of time as they experience power beyond any human concept of power. A journey from which they cannot escape. Or can they? Regrav centers around four main characters. James Kelvin, John Landers, Marcus Ford and Coms, the beautiful, composite silicon over carbon fibre, humanoid. The tablets tell of life being attempted five times on earth and the story outlines how DNA is a complex biological software package. But who composed it? They find out.